High efficiency and safe operation. Compact structure and small volume saves mounting space. 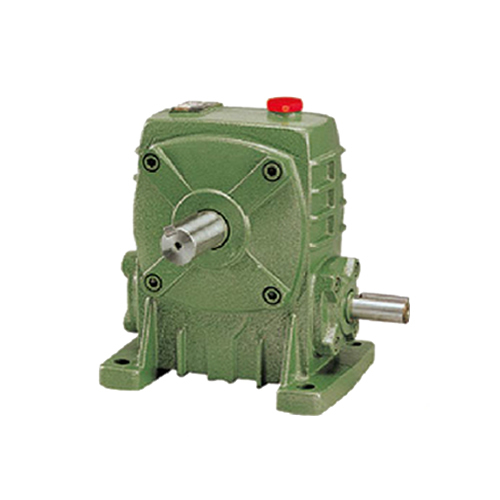 Due to its high load capacity and overload functions, the worm reducer has stable transmission and reduced vibration and noise. No gap structure of gearbox makes this reducer maintenance free and prevents lubricant from leaking. 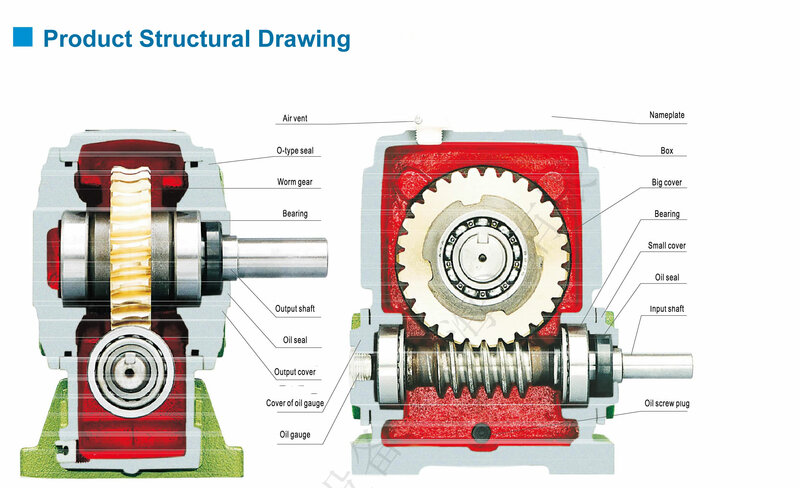 Various linking structures for power input and torque output allows for different mounting methods. It can adapt to long term work condition in terrible environments with low noise and stably running. 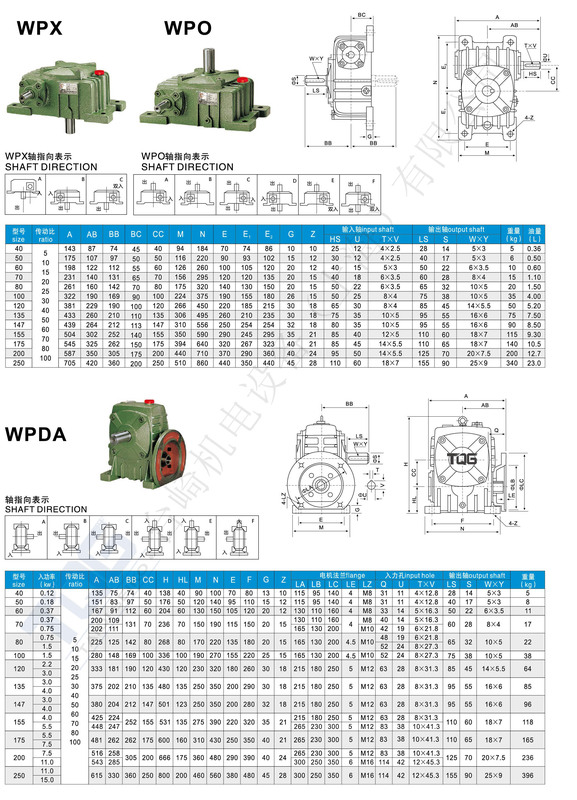 The TQG iron shell WP worm gear reducer is a power transmission mechanism, and it can help to reduce the speed and increase the output torque. It also can reduce the load inertia, which is reduced to the square of the reduction ratio. 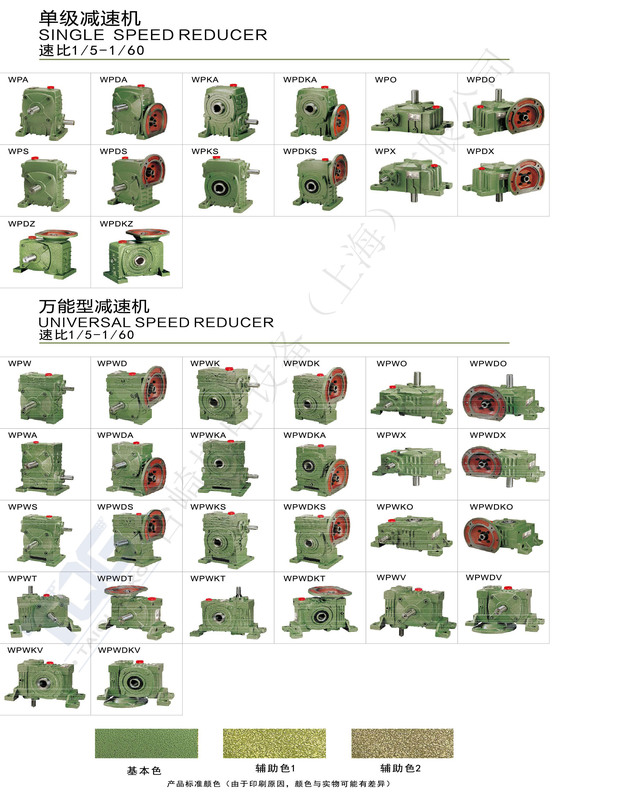 The WP worm gear reducer can be divided into single speed reducer, universal speed reducer and double speed reducer. 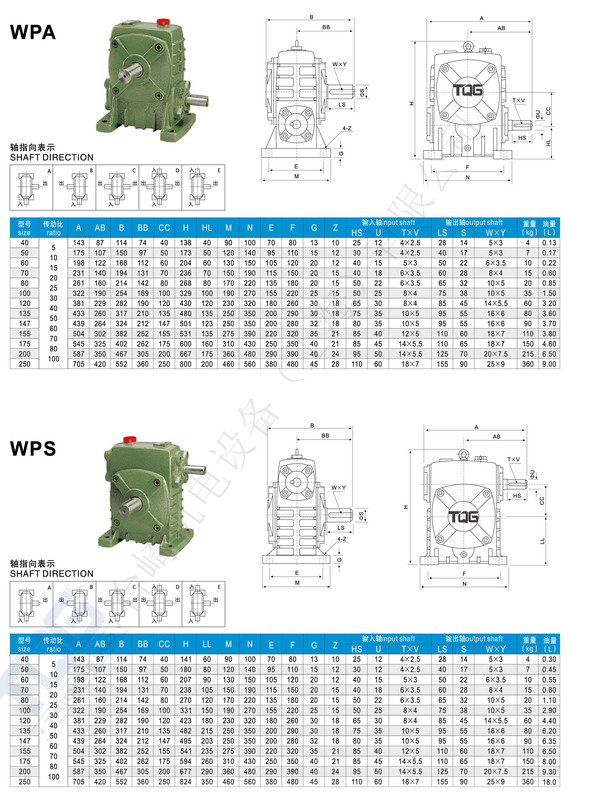 The cover and wheel core of WP worm gear reducer are made of high-quality cast iron, and the shafts are made of wrought iron. 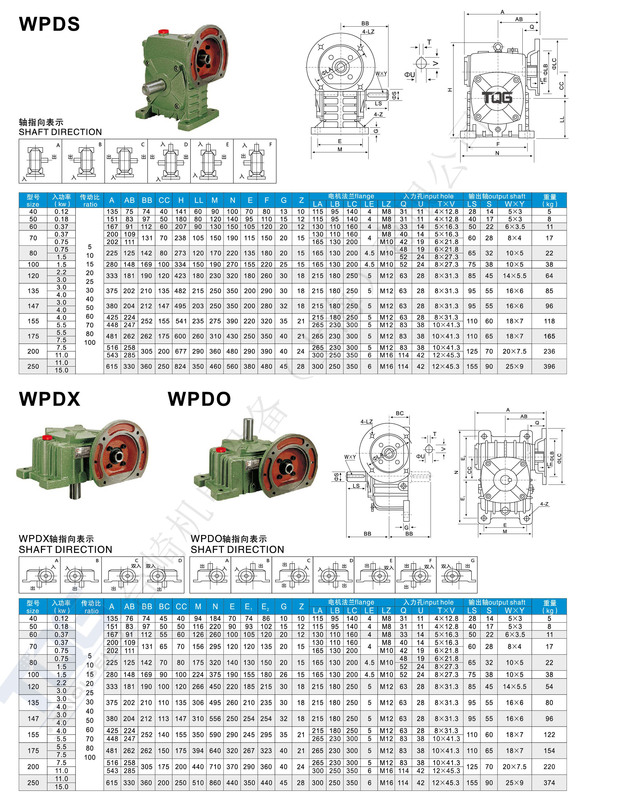 The worm gear part has high hardness after high-frequency processing. 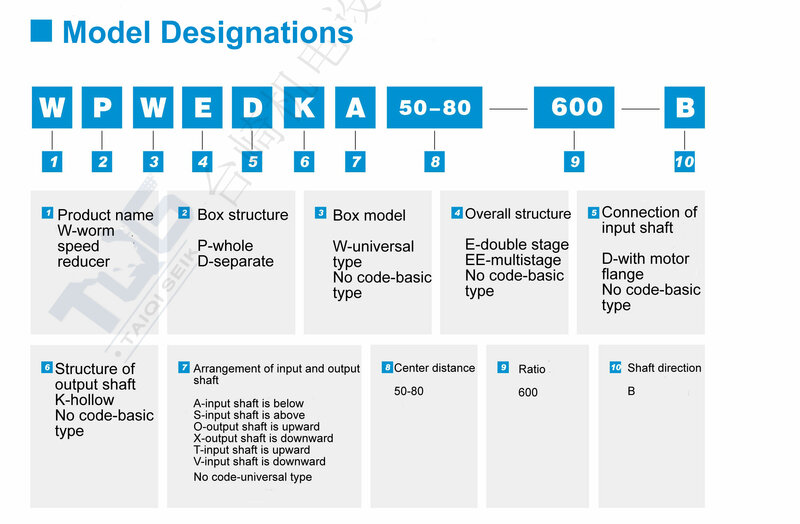 Please check carefully before using if the reducer model, ratio, input connecting method , output shaft structure, input & output shaft direction and revolving direction can meet requirements. Select suitable lubricant oil according to the product manual. 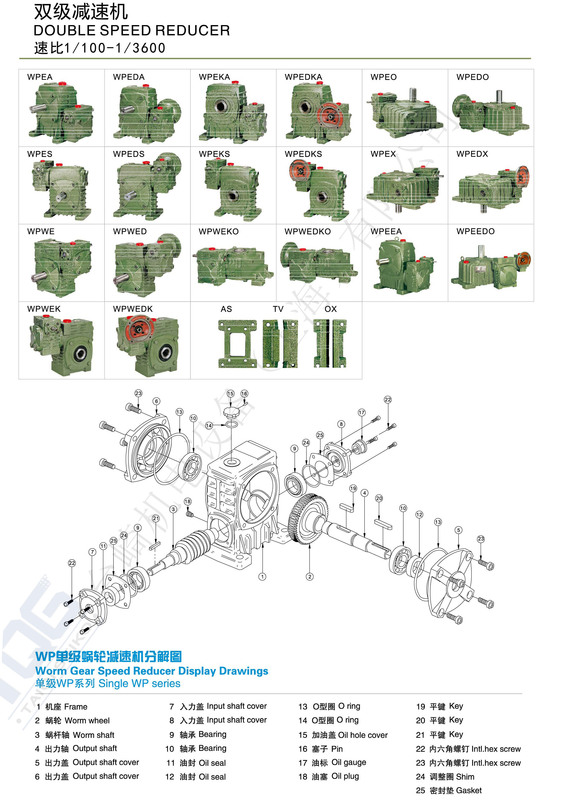 It is also necessary to replace oil in time conforming to the request of product manual. In the event of abnormal operation should immediately stop checking reasons, trouble shooting.